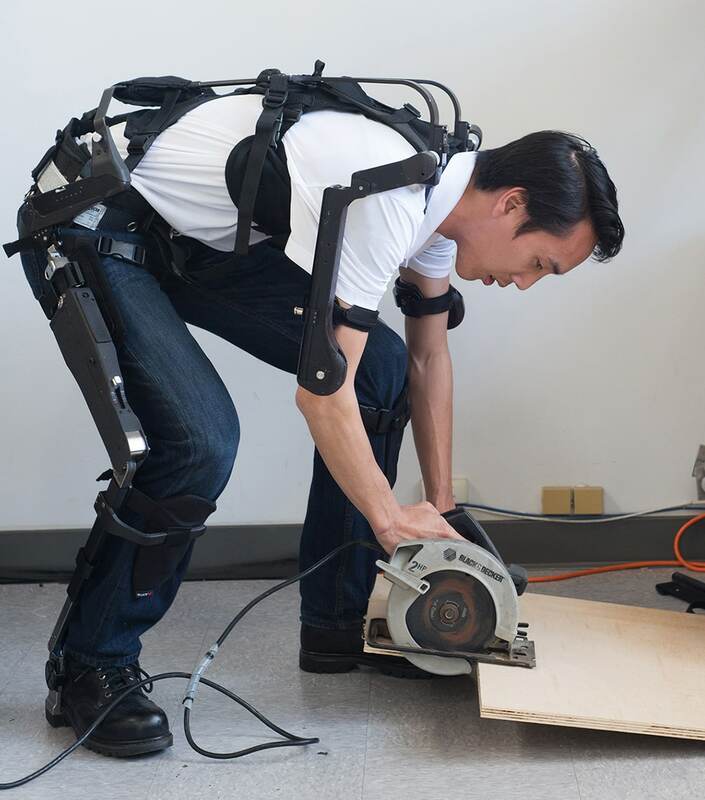 The legX is a passive hip exoskeleton for work and industry. 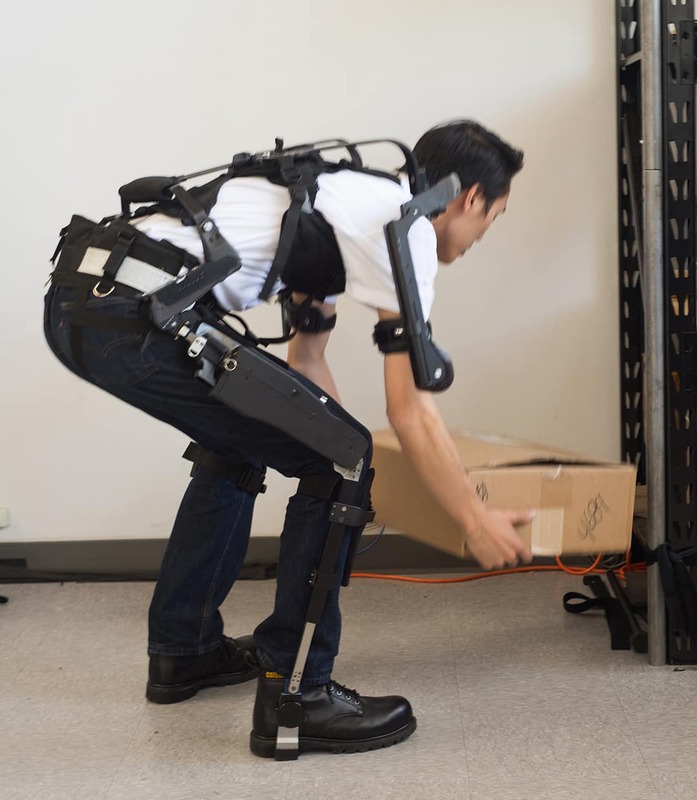 This wearable exoskeleton is designed to remove some of the loads from the knees while crouching, squatting or standing for prolonged periods of time. 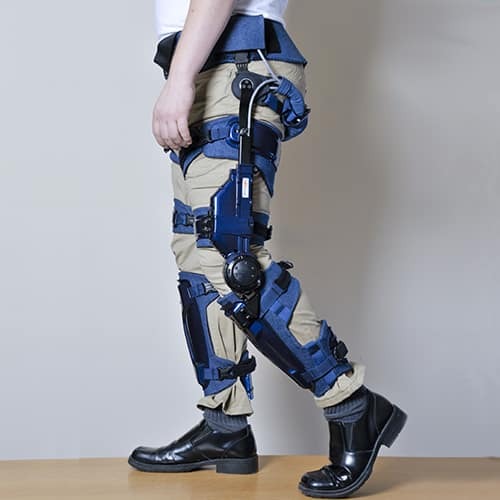 This reduces the stress on the knees, reduces fatigue and increases safety for workers using the exoskeleton. 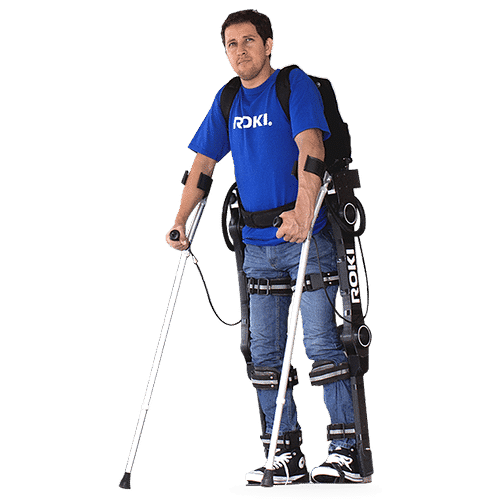 The legX can be used independently or combined with the backX and shoulderX by SuitX to form the MAX knee-hip-shoulders passive exoskeleton solution. 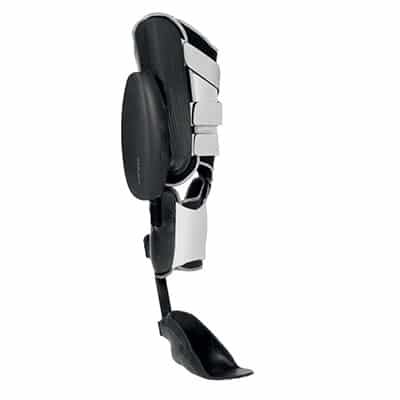 Design notes from the manufacturer: legX enables the user to squat repeatedly or for prolonged periods of time by reducing the knee joint and quadricep muscle forces. The amount of support can be adjusted to suit the needs and weight of the user. The legX is offered with a custom work boot to maximize user comfort. This intelligent system can distinguish between walking, ascending/descending stairs, and squatting to allow unimpeded locomotion and only provides support when support is desired. 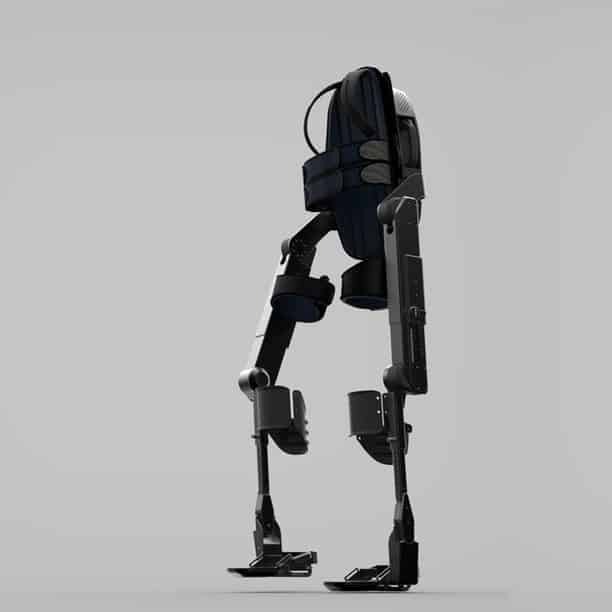 legX also has a locking mode, where the exoskeleton can be used like a chair (or a chairless chair). An anthropomorphic profile and adjustable sizing allow for natural movement and intuitive awareness of one’s position within tight spaces. legX moves freely with a worker without impeding the wearer while providing support during squatting tasks. Another feature of the legX (and all SuitX products) is the special attention to integration with already existing safety equipment. 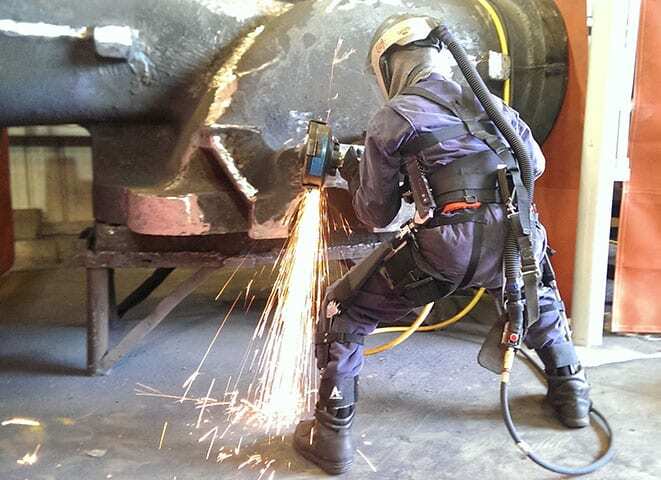 The legX can be worn over most standard (and mandatory) safety harnesses. Exoskeleton Report does not endorse one exoskeleton product over another. The exoskeleton catalog is purely for educational purposes. The catalog is meant to provide an easily accessible birds-eye view of the exoskeleton industry, and a quick method to sort exoskeletons by type and purpose. All prices are approximate and are meant to provide a general sense of the cost of the devices.